Denying responsibility for a major hack on Sony Pictures, North Korea has proposed a joint investigation with the U.S. but promised “serious consequences” should its offer be rejected. On Friday, the FBI said it had concluded North Korean responsibility because of several similarities in the malware code, the computer control network used and the software tools used against Sony and that used in previous attacks in South Korea that had been blamed on North Korea. North Korea’s Ministry of Foreign Affairs, however, said in a statement Saturday that it needed to see “clear evidence” and said comparisons with previous cyberattacks were irrelevant to the Sony case. “Reference to the past cyber-attacks quite irrelevant with the DPRK and a string of presumptive assertions such as ‘similarity’ and ‘repetition’ can convince no one,” the Foreign Ministry said. The Foreign Ministry proposed a joint investigation into the incident with the U.S. 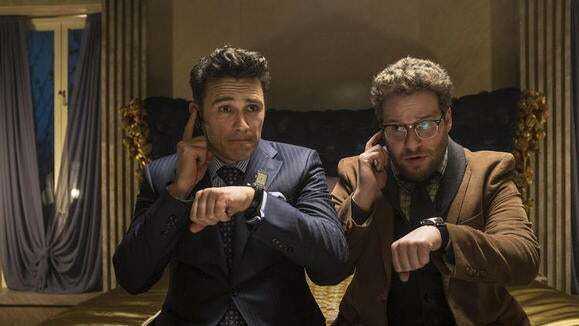 The hack was presumed to be targeted at Sony because of the planned Dec. 25 release of “The Interview,” a satirical movie in which two showbiz reporters go to North Korea on a secret mission to kill leader Kim Jong Un. Earlier in the week before Sony said that is would cancel release of the movie, hackers threatened to attack movie theaters that show the film. The Foreign Ministry statement appeared to make an effort to ensure its strong language wouldn’t be interpreted as a further threat of action on movie theaters. It’s not the first time that North Korea has demanded a joint investigation into international allegations against it. Earlier this year, the country wanted such after it was accused by South Korea of being responsible for several drones that were found crashed near South Korea’s border with North Korea. And in 2010, when the South Korean naval vessel the Cheonan was torpedoed and sank with the loss of 46 lives, the country wanted to be part of a South Korean investigation. In both cases, North Korea was deemed ultimately responsible. The FBI’s report into the hacking investigation was published on Friday, a day after the United Nations General Assembly voted to refer North Korea to the International Criminal Court for alleged crimes against humanity. The allegations refer to the brutal way in which the ruling regime cracks down on dissent and jails prisoners in labor camps under inhumane conditions.